Celebrating its twelfth anniversary this year, PureVPN is definitely one of the biggest VPN services in the market at the moment, both in terms of its user base and its features, but is it really a Best VPN service? 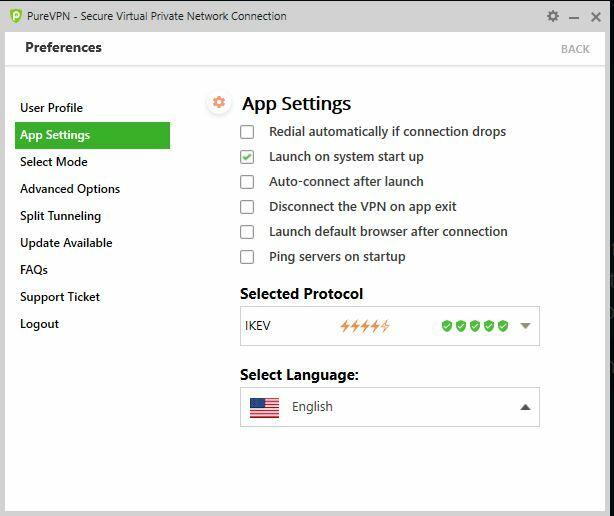 To find it out, read this comprehensive review on PureVPN by BestVPN.co! Dont want to go through the whole review looking for what you want to know? Use these filters to jump straight to the part you want to! Is PureVPN Safe? Cyberstalker Caught FBI but was the Arrest Facilitated by PureVPN? The biggest accusation that is hurled at PureVPN is that it keeps logs. But is there proof of the provider doing so? Well, the answer to this is more complicated than a single yes or a no. Now, keeping connection timestamps isn’t exactly harmful to users since they don’t exactly come under the purview of potentially harmful personal user data. So things should have been less problematic right? Actually, no and that too because of a case in which a cyberstalker was harassing people including women and that guy was using PureVPN while indulging in this nefarious activity. PureVPN was alleged to have helped out the FBI in implicating this person through the use of logs they keep of user activities. What kind of logs were used in nabbing this criminal is still not known, however, this certainly cast a big doubt on whether PureVPN’s claims of being a zero logs provider are substantial or not. PureVPN even talked about it an official response post after the whole incident happened and reiterated their stance on how they are always against keeping or sharing logs. According to our own analysis, the provider doesn’t keep any such logs that might be considered problematic. Still, this case created some major controversy which continues to date. The final verdict from our end doesn’t endorse the idea that PureVPN isn’t safe for anyone to use. Its perfectly fine and is great for securing your anonymity and privacy in the online domain. We even re-affirmed by checking out its logging policy in an industry-wide survey on the prevalent logging practices of renowned industry providers. Logs are a very sensitive issue when it comes to VPNs and in my opinion, PureVPN should certainly issue its own Warrant canary if it really wants people to take its side of the story more plausibly as compare to the one that blames it for compromising user privacy, which certainly isn’t the case. PureVPN is owned by GZ Systems which is in turn owned by Uzair Gadit and has its base in Hong Kong, so lets start this review by talking about its hub. This former British colony, is now an autonomous territory of China, but does that make it a place where VPNs shouldn’t be setting up their base? Not quite, and that’s because, despite China’s notorious reputation regarding its draconian internet privacy laws, Hong Kong is surprisingly, more at par with major European countries than China, as far as internet freedom and data privacy laws are concerned. Hong Kong also isnt bound by any data/information gathering or sharing agreement or alliance like 14 Eyes, as we found out in detail when we conducted a study on how more invasive some places can be in terms of data privacy than others. PureVPN scores some major points here for keeping a major cornerstone of its basics right. Moving on, PureVPN now offers one of the largest server infrastructures in the world with 2000+ servers in over 140 countries worldwide. This sounds majorly impressive, but I had one major problem with it. 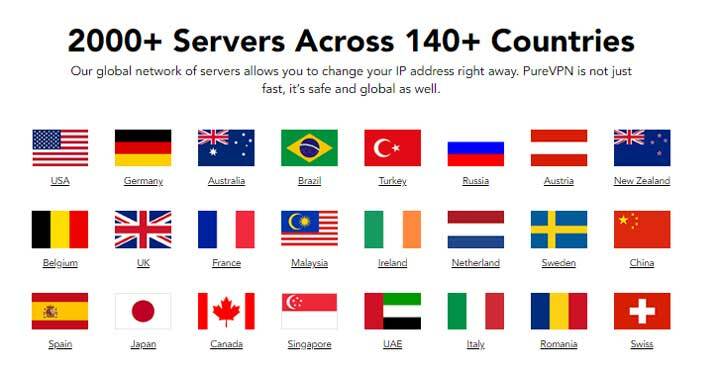 Approximately 69% of the servers offered by PureVPN are located in North America and Europe while Asia gets just a paltry 15% of its servers, making it a majorly undeserved region. PureVPN is doing nothing different than what is considered conventional in the VPN industry, where a majority of providers offer a big chunk of their servers in North American and Europe while ignoring the rest of the world completely. This practice has its roots in the facts that firstly, internet penetration is high in these regions and secondly, the knowledge and need to protect oneself online is also high. This results in high sales from these regions for VPN providers, but I believe that its not right to be so skewed when it comes down to your overall server location spread. PureVPN definitely needs to add more servers in the Asian and African regions. This will help the provider to a large extent in reducing the problems that you face when you connect to servers further away from your location while using the service. PureVPN has a problem of not offering the best speeds if you connection involves long hop, for e.g. a PureVPN user located in France would be better off connecting to a server in Spain that lets say in Hong Kong or Canada. Similar to other software applications, users are always looking for cracked versions of PureVPN online. You can find many similar searches for various other VPN apps. This just goes to prove that while users are worried about their privacy, they are not willing to spend money. Not that PureVPN is a very expensive service. It actually exists as one of the most budget-friendly providers in the marketplace. The VPN is famous for offering amazing deals/discounts, helping users gain privacy at reasonable prices. For instance, this new year, PureVPN gave away their 2-year plan at an amazing 74% discount. This reduced their monthly pricing all the way down to $2.95 per month, billed $35.4 for 12-months. Why go free when you can avail privacy at cheap prices? Bear in mind that most of the websites offering supposed “cracked” versions are selling a scam. Do not install apps that claim to be cracked, as they may be loaded with viruses and malware that can potentially harm your private data. There was a vulnerability in the PureVPN Windows client, which caused the revealing of stored passwords. This issue is yet to be rectified and revolves around the “show password” option in the GUI app. While many apps do give this feature, the showing of passwords will give local attackers the ability of obtaining another users’ credentials, if they manage to log into their Windows machine. Though PureVPN has acknowledged the risk, they still have not removed the “show password” option from their app. Split Tunneling is a feature that works exactly like what its name implies. It “Splits” your traffic, and allows you to be in charge of what goes through your VPN tunnel and what doesn’t. This feature works well, and came in especially handy when the connection was a bit slow by PureVPN, allowing me to keep my major apps and services safe from intrusion. Every user will agree that we don’t usually need all of our apps and services to be routed through a VPN enable connection, and some take priority over others for e.g. If I am Torrenting and the speeds are slow, I will definitely prefer the VPN to offer cover for this activity than to protect my Snapchat conversations. 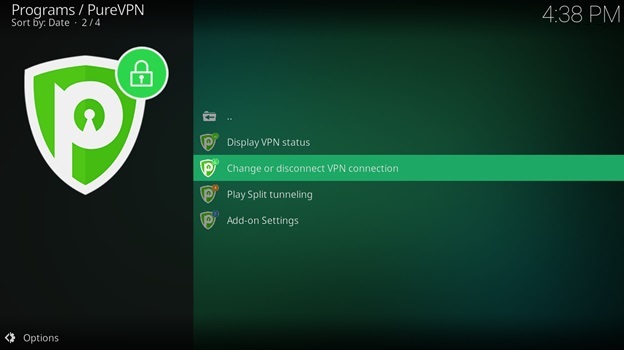 The Split Tunneling Feature by PureVPN is one of its starred features and one of my most preferable features in a VPN from now onwards, once I have used it. PureVPN also offers a kill switch which has definitely had some complaints and I must say that they are not unfounded. This feature did not work properly till 6 months ago and many users were aghast about it, and that’s because the importance of a properly functioning kill switch is undeniable in the event of a connection drop. But, PureVPN has undergone a major revamp and its kill switch now works well to serve the function it was meant to perform. The provider also offers a NAT Firewall which is a great additional security apparatus that can block malicious hackers from entering your system. Well you know about the background know and some of it major features even, but now, lets get down to a deep analysis of what’s good in the service and what’s not. Lets start with the Pros. Does PureVPN Add Any Value With Its Extra Security Features? The names for the extra security features offered by PureVPN do sound a bit weird but if you don’t know yet, the provider is based on a Spaceman theme, therefore the emphasis on such intra-world names. So after giving you the context on the names of the features, lets delve down into the actual work they do for a user. Ozone: Just like its namesake, PureVPN’s Ozone feature is intended to act as an Antivirus, thereby covering up your internet connection from all external threats like malware or hacking. But does it work? Yes, but partially at best. Offering an antivirus feature is understandable if one is a VPN service, because you might be looking to beef up your security combos. Even antiviruses these days are entering the VPN industry with their own such services. Still, antiviruses are best acquired as standalone services. That’s because an antivirus is in itself, a complicated software and from our own experience, it doesn’t work well when offered as a feature like PureVPN’s Ozone. This feature does do some mild anti-virus work equivalent to that of a credible, free Antivirus app with limited functionality like giving off warnings before you enter malware infested sites, but not much except that. Ozone cannot detect threats like, lets say a Kaspersky or Avast can, so yes, its there, its nice, but is little more than a novelty. Another feature named after a natural phenomenon, PureVPN’s Gravity feature is basically what you call an “Ad-blocker”. I seriously don’t understand why this feature is called Gravity, because there is no obvious connection here. Moving on from weird feature naming strategies to the actual performance of the feature. Gravity is better than Ozone in performance (I don’t know why this feels quite strange to write it like this, but oh well, lets keep going), as it does offer a fair degree of protection over ads and nuisance pop-ups mostly. Some ads do creep past it, but its still quite good in performance. Bypassing the geo-restrictions on sites like Netflix and BBC iPlayer is no mean feat for a VPN and that’s because bypassing geo-restrictions isn’t as easy as connecting to the server in the country where the service is located and unblocking it. Its 2019 and the streaming sites have become more stringent than ever in protecting their geo-restrictions on copyrighted content. The biggest roadblock in the ways towards unblocking these major streaming sites is a thing called a VPN Ban. This “Ban” is not a software or a feature, but rather a complex series of mechanisms through which Netflix or BBC iPlayer or even other similar services like them, impose a blackout on VPNs. For bypassing the VPN ban, a VPN needs to be fast enough to shift servers on a continuous basis and that’s because the ban works by recognizing VPN servers through too much traffic coming from a series of IP addresses and then restricting them from accessing the service. Shifting servers requires a VPN to be on top of its game always as doing this means you have to be agile as well have dedicated resources to execute the task to perfection. PureVPN is one of those rare services these days that can offer you a stellar unblocking experience. Not just it unblocks Netflix and BBC iPlayer but it can work through almost all popular geo-restricted services and sites easily. According to my PureVPN review, the service is powerful and reliable enough to be trusted for supporting your streaming needs and is definitely among those selected providers who can unblock these geo-restricted sites with ease. VPNs are conventionally offered on a subscription model which means that you usually need to pay a certain amount to subscribe to their service for a certain number of months. And generally, it’s the user’s psyche to get inclined towards a service that is priced low and offers the right mix of features. PureVPN has always been one of the most budget friendly VPN services out there with its rock bottom prices. The monthly plan is nothing to write home about and I suspect that this plan is just there to make the other plans look ridiculously expensive. If you want to subscribe to PureVPN ever, never opt for their monthly plan because its just not rightly priced. The 1-Year plan comes in at $48.96 billed once, which makes it cost a user around $4.08 for each month of the subscription plan. According to PureVPN, you save 63% with this plan, but that’s when you compare it to the price of the monthly plan, so this discount figure is nothing more than a marketing gimmick. But currently, PureVPN is uncharacteristically promoting its 1-Year plan that costs just $35 billed once, to subscribe to the monthly cost of this plan stands at just $2.95, making it appear even more appealing than their 2-Year deal. One year plans aren’t supposed to be the “Starred” plans when you already have a plan with a longer duration, so it was a bit of a surprise as well as a shock when I saw this 2-year plan being promoted over the 1-Year deal. Maybe, this reflects changing customer habits as they might be opting for plans with longer subscription duration instead of going for medium ones. The pricing is one of the most important pros of PureVPN and it is this strategy of keeping the prices exceedingly affordable that has allowed the provider to stay afloat even in testing times. In recent times, Torrenting has faced a backlash of epic proportions from major government agencies and copyright trolls around the world, closing down popular sites like Torrenthound, Torrentz, KickAss Torrents etc. with many others on the verge of meeting a similar fate. This is because, these agencies and copyright trolls accuse Torrenting fans and sites to be indulging in copyright violations of content. However, this hasn’t stopped Torrenting fans to completely shun the activity altogether but rather the activity is still ongoing as it was a few years ago, with the only difference being that the risk accompanying the activity has grown tremendously. This leaves just VPNs as the sole saviors for users as they make this activity incredibly safer than it would be without it. But these days many VPNs have cowed away from offering support for Torrenting. 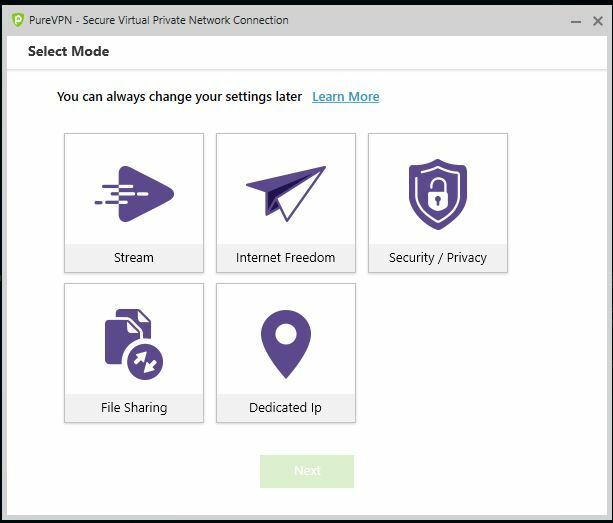 PureVPN thus remains one of the last remaining VPN services that can offer users with an incredibly free Torrenting experience. You can compare pure`s torrenting friendly policies with that of other providers in this detailed research sheet. PureVPN isn’t just offering lip service by saying it supports Torrenting, but it is actually quite suitable for the activity. The speeds were a major issue as they are erratic most of the time, but apart from that, I didn’t get any copyright notices or even DMCA notices that could have compelled me to shun the provider for this purpose. One of the most unimpressive thing about the service is its desperation to sell. You literally get 2-3 “Exciting Deals” stuffed in your face as soon as you open the site. From 2 year special deals to some fake timers that keep resetting after some time, PureVPN’s subscription plans are probably the only ones on which limited deals are running all year round. But one big thing has gone missing from all such deals i.e. the Lifetime Subscription Offer, which PureVPN was advertising ferociously till late last year. 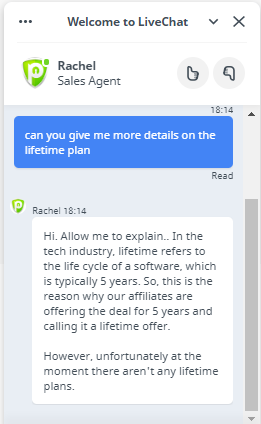 Well actually, the LifeTime offer didn’t offer you PureVPN for eternity but for 5 Years. When I contacted chat support to ask for the deal, the customer rep told me that the said deal has been discontinued for now and no time frame can be given as to when will it return. PureVPN’s iOS app was removed from the Apple store by the provider itself back in the second half of 2018 due to certain policy and privacy issues. Now, the app has been re-released in March, 2019, and it looks like the provider has done some major revamps. Firstly, the app is a lot faster than what you generally expect from PureVPN. Its server connect time is at least 50% better than what you can get on other apps from the same provider. PureVPN has been known to be awfully slow in initiating a connection to a server. Sometimes taking more than 20 seconds to connect to a server, while the average time should be no more than 5-8 seconds max. The iOS app connected to most servers in 10 seconds on average, which though, is still slower than expected standards but is definitely a marked improvement. Usability has also been given a major boost, allowing the app to be easily navigable and much better in terms of responsiveness. Many users who are not familiar with the technical jargon of the VPN industry often get confused about the purpose of the protocols offered by VPNs. Users do often have a basic understanding of things like encryption, servers etc. but not many know what these “Secure protocols” actually do. Well, these protocols actually secure a user against all sort of “Man in the middle” attacks. These attacks occur when someone intrudes your connection, sits in between (hence man in the middle), and gains the ability to intercept all of your data. These sort of attacks are most common at public places like Coffee shops, public Wi-Fi, Airports, Offices etc. and that’s because these attackers know that users are often too casual with their protection when at such places. PureVPN offers OpenVPN to secure you against very such attacks, because its most robust and secure among all protocols being offered these days. But, PureVPN also support other protocols like L2TP, PPTP etc. which the user can opt for if the device they are using doesn’t support OpenVPN or they need a faster connection. Now coming to another important component of a VPN’s security apparatus, PureVPN also offers AES-256 military grade encryption, which is such a powerful level of encryption that even brute force computing cannot allow any hacker to get through it. This encryption is called ‘Military Grade” for this exact reason, as its ciphers allow it to be used by sensitive government and military agencies and installations around the world. But despite offering such industry standard security tools in order to provide you with maximum security online, PureVPN’s controversial logging policy doesn’t allow us to regard it as a safe service for sensitive activities. This VPN is good enough to protect you on activities like Torrenting, but not when you are being pursued by a government agency, so don’t go for it if you are one who goes for a VPN primarily because its secure. 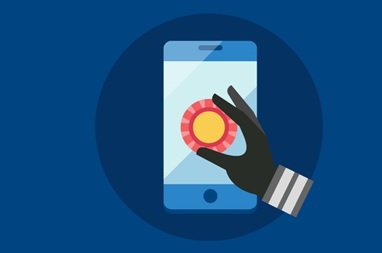 A big problem in downloading and running apps from even VPN providers comes in the form of you not knowing whether that particular app is safe for your system or not. And just because of relaying this fear, I made PureVPN’s app go through a virus detection test on VirusTotal.com. The result? The apps are clean and safe to use! So if you want to download and use them, go ahead! 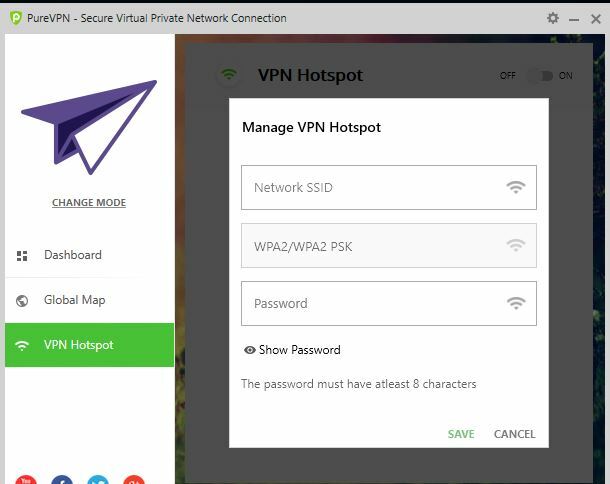 We all love hotspots, especially those created for Free Wi-Fi, so a client that can allow you to create a similar hotspot but for extending your VPN enabled connection, is even better. PureVPN really surprised me by offering such a feature as it allows users to use VPNs on other devices without going through the fussy process of installing more and more client apps. 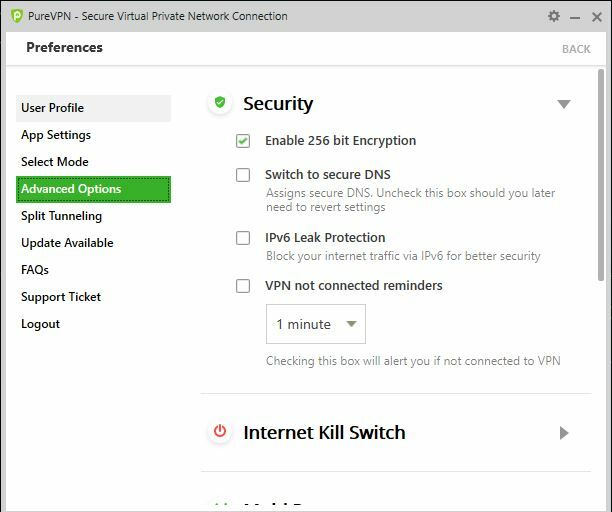 Not even the most popular VPNs out there offer the same feature so its makes PureVPN’s feature kind of unique and immensely valuable. Connect any other device to the network in the same manner you connect to other Wifi Networks! What does PureVPN’s logging policy actually entail? Well it turns out that they now have a very well defined logging policy. PureVPN doesn’t log any logs related to personally identifiable information. But they keep connection timestamps, however one great highlight here is that they have now resorted to just logging the day you connected through their service. Previously, they used to keep exact connection timestamps but not anymore. They do collect your name, email and payment details, but that is understandable as any firm requires such information to create user accounts and manage them. But if they want, they can go up a notch even in this by following MullvadVPN’s example of just creating user accounts by using account numbers, not names or email addresses. However, due to their implication in the case regarding the FBI and the cyberstalker, its logging policy, despite being seemingly clear and secure, is still highly questionable. Their warrant canary is not clear anymore now so I would recommend users who are looking for privacy with a VPN, to go for this service with a high amount of caution. 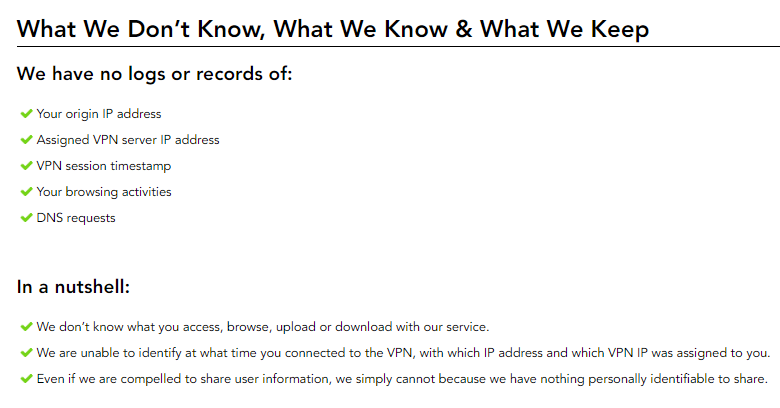 The Center for Transparency and Democracy now offers VPNs a chance to make themselves more transparent to their users by answering a series of related questions. Ranging from telling out about your revenue model to who owns you, this new CTD VPN Compliance questionnaire is being lapped up by many top providers in the industry. It started with ExpressVPN and now other providers like Tunnelbear have aced their compliance test as well. But PureVPN hasn’t yet responded to calls by CTD to verify their transparency. This, while not affecting the brand now, can create serious trouble for it in the upcoming times. Transparency is a virtue that is regarded extremely highly in the VPN domain and if PureVPN isn’t taking enough steps to match up the industry standards related to this issue, it would find itself in troubled waters very soon. As the world becomes more aware about protecting their privacy online, they are slowly realizing on how ingenious the methods which invade your privacy really are. For you visiting PureVPN’s website isn’t such a big deal right? Well take a look at it with Ghostery, an browser extension which notifies and blocks all attempts from a website to track a user through any means. 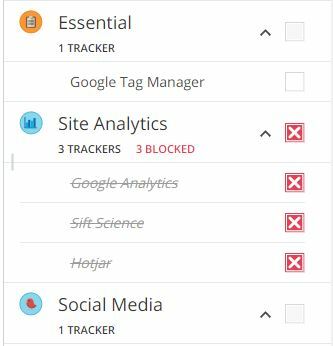 Their website has at least 11 types of trackers including those that map user behavior like HotJar, those that use your behavioral data to send you targeted ads like Google Adwords etc. 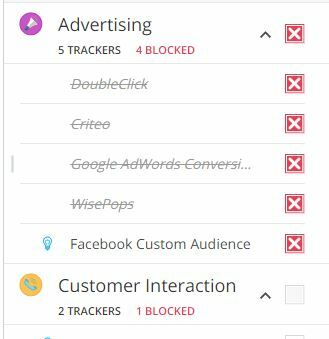 Using Ghostery prevented me from being affected by all these unwanted trackers but most users don’t know about it. Definitely a spoiler! Marketing is acceptable and all brands and firms are allowed to indulge in practices that help them in promoting their service. However, this should never come at the cost of transparency. PureVPN is a good enough VPN but its credibility is majorly affected through its own bad policies that it can do away with quite easily. I can never understand why PureVPN hasn’t corrected this thing yet as its gnawing away at its chances of being much more appealing. PureVPN says that it offers a “31 Day Refund Policy”. But if you go in and dig deeper into the provider’s site, which most users don’t, you would find that these statements are a bit “over-sweeping”. 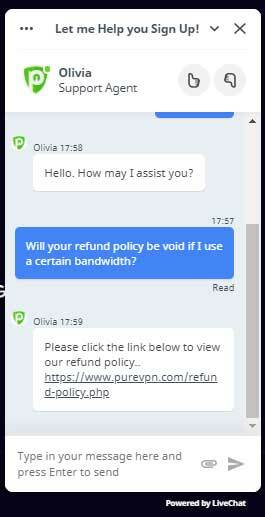 If you visit PureVPN’s website, you will notice that they have advertised it their 31 day refund policy everywhere. PureVPN needs to change its approach to the way it markets such offers by becoming more transparent. Even an asterisk on top of such announcements on its site telling a user that it needs to read more to become aware of the terms and conditions of the offer will add more credibility for the service. But is the longer refund period by PureVPN any good? Actually not, and thats because its not beneficial to the user but to the provider. Surprised? Well, most are, so let me explain this. Longer refund policies ensure lower product returns as shown by the endowment affect. This happens because the longer a product remains in one’s ownership, the higher affinity that person develops with it, which ultimately lessens the chance that there is ever going to be a refund. If a user doesn’t like a product, it shouldn’t take 25-30 days to make the final call on the refund, so the extra period works as a psychological ploy to make users believe that they have a lot of time to refund, utlimately letting the endowment effect to take its course. So instead of increasing the number of days in the refund period, PureVPN should work towards either giving a free-zero commitment trial period or make its policy more transparent. PureVPN doesn’t even meet even one of these parameters by a long shot. Not just its website is banned in China, but the nearby servers it offers don’t offer good enough speeds, always remain choked, and you cant download its app in China. Despite offering a supporting document for unblocking in China, most of the help points in it are not good enough to secure a get through. The Provider does work in China but only if you have it pre-installed in your system before you board on a plane to Beijing or Shanghai. This means that once you enter the Chinese Mainland, you can kiss goodbye to important features that are needed to make a VPN work properly in such a sensitive place. You will have no chat support, neither can you download any of its app and you cant even check up on your billing or file for a refund. Don’t go for PureVPN, if you are looking for a VPN for China. Use ExpressVPN or NordVPN instead if you really want to experience top draw VPN performance in the country. VPNs are complicated services so users need the customer support to be top notch in order to facilitate them with all kinds of queries and questions. PureVPN, underperforms as far as its customer support is concerned and that’s because its live chat feature and the agents behind it feel too mechanistic. For e.g. I asked them whether the refund policy becomes void after you’ve consumed a certain amount of GBs in your bandwidth, and the reply I got was a link to its refund policy page. As is evident from the question I asked here, the reply needed a much more detailed and personalized answer than the one I got from them. This was disappointing for me and it is one of the most problematic points of an otherwise good enough service. Their site does have very detailed setup guides for all kinds of devices, troubleshooting repositories and all but when the chat support feature is there, it needs to perform well, period! There is no harm in marketing your product. We all understand that every business needs to make money and for that you really need to up your game on the marketing front. But that surely doesn’t mean that a brand can be over promoting its brand and still expect users to buy it. Just a visit to PureVPN’s website can be enough for you to understand on how the provider bombards its visitors with unwanted pop-ups, banners etc. A simple tab for seeing the pricing plan in the top menu bar along with offering an overview of the plans on your homepage is enough. You don’t need to stuff your users with banners and pop –ups of your deals. The average VPN user is smart enough to navigate sites and if it likes your service, it will definitely buy it. PureVPN certainly needs to do away with this aggressive marketing tactic and make their site easy on the eyes and less of a nuisance. They can see Surfshark’s site for some reference. Its clean, smooth and serves almost zero popups. The whole purpose of having a client app in the first place is to make it as easier for the user to interact with the service’s different aspects as possible. PureVPN’s client app surely do that but there are some features in it that I really found confusing. There are two options titled “Internet Freedom” & “Security/Privacy” are exactly the same thing so there was no need to add an extra mode that does the exact same thing just because you wanted to fill up some empty space. Now coming, to the default protocol in the client which is set at IKev. Its just not right, because the industry norm for the default protocol and what’s also the best option security wise is OpenVPN protocol. PureVPN might have changed the default protocol from OpenVPN to IKev to improve speeds, but you cant do that while compromising security, so this needs to be fixed as soon as possible. Lastly, the option for IPv6 leak protection is disabled by default which is a serious security flaw especially on part of those users who are new to the whole thing and don’t know much about how they need to check on such things by diving deeper in to the client. If there is a feature for extra security and protection, then seriously there is no point in keeping it turned off. Seriously, not likeable at all. PureVPN is quite infamous for its erratic speeds. Its support for streaming and Torrenting has been known to be good overall, however there have been numerous reports of its speeds going down below acceptable points many a times. So I finally decided to conduct a detailed speed test of the service myself over a period of a week. During this endeavor, I randomly connected to its servers in the US, Canada, Hong Kong, India and whole lot of other place and conducted speed tests at regular intervals so that I become able to provide you with a fair idea of what it’s like to use the service as far as speeds are concerned. My tests revealed that PureVPN is surely erratic in the speed it offers. Mostly, you’ll see a great reduction in speeds if you go for a long hop i.e. connecting to a far-away server. Other providers don’t spoil your experience too much doing that, but PureVPN is not one of those. I found its best speeds to be at least 15-20% slower than what the Fastest VPNs like ExpressVPN or MullvadVPN offer. This can be considered good but wait, there’s more. While everyone shares the best speeds they got in their testing, I will do the exact opposite i.e. I will share the worst speeds I got during my entire experience, so that you know what to expect when the service is at its worst. A ping rate of 224 is way too high. But what was more alarming here was the absolute nosedive I experienced in speeds. Download speeds fell by a whopping 65% which is not acceptable at all. But the place where I faced the biggest disappointment was in the Upload speeds where the speed loss was almost 79%. Conventionally, even at the best of times, a loss of 25-35% speed is normal for a VPN considering all the encryption and protocols it needs to go through, so a speed loss in the 60-70% range is not a number that anyone could be happy with. Their speeds are a lot better on other servers, particularly those in the US but in places like Europe or the Far East, expect a nosedive from PureVPN. But hey, this is the absolute worst of the service in 2019, which means that the only way from here is up. My best tests had some pretty amazing speeds including those where speed loss hovered around the 20% mark. If speed was my main concern as a prospective VPN buyer, I would certainly give the provider a good thumbs up and ensure that I do consider it as a serious option when weighing my final choices. Reddit exists as one of the most helpful communities for learning about a myriad of topics/products/services. You can find opinions of experts in various industries and even user reviews that can assist in decision-making processes. PureVPN has been a great topic of discussion on Reddit for quite a few years, especially after their cooperation with government authorities on logging information. But, instead of salvaging their reputation, PureVPN indulged in some shady marketing that resulted in their brand name being banned from linked to on the platform. 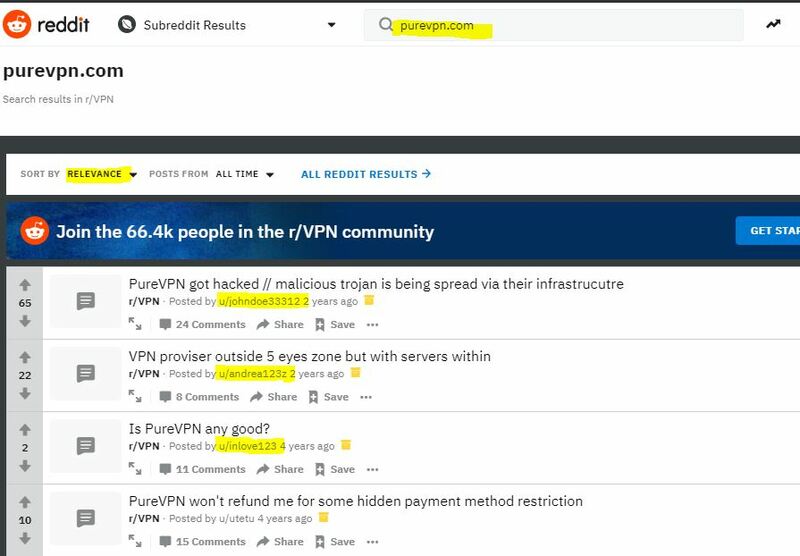 This means that Reddit won’t allow you to put a link to PureVPN.com, whatever the reason, even if its genuine. Neither Can You Find Any Official recent Threads of the site on reddit. There are some old mentions of the service there, however they are a mixed bag, mostly filled with rants on how the speeds can be a big issue and some positive points like it being extremely suitable for Netflix and other related streaming unblocking as discuss in best vpn reddit blog. Unfortunately, PureVPN is not a free service, and that is good. We at BestVPN.co typically do not place trust in services that market themselves as “Free”. In simple words, it is a fugazi, a scam! Managing a VPN service does cost money. You have to pay for servers, app maintenance/updates, support and more. As such, if a service is not charging you a penny, there is always a chance they are involved in shady practices. With PureVPN, you do however, have access to a 30-day refund guarantee. If you want to test the service, you can check out their 3-days Paid Trial, costing $2.50. Requesting a cancellation of your plan from PureVPN does not require any rocket science. Simply log into your account on the official website. Head to the “My Products and Services” section and look for the option that says “Request Cancellation”. You will then be approached by a customer service representative from the VPN, who will cancel your subscription instantly! How to Install PureVPN on Kodi? PureVPN currently exists as the first and only provider in the marketplace to offer a dedicated application for Kodi lovers. You can easily download and install the add-on on the entertainment platform to keep your identity secure when streaming movies/TV shows from Covenant, Exodus, cCloud or any other extension. Visit http://purevpn.com/kodi-repo to download the zip file! Author Rating 3: The service is good overall and the most impressive part about it is how affordable and feature rich it is and I give 1.5 overall for these two aspects. Another rating point is for how much effort it is putting into making more and more locations available for users to connect to. The last rating point I gave to the provider was for the client app repository that it offers which includes niche apps like the Firestick app. Features 3.5: PureVPN doesn’t just offer features, its features galore. From Kill switch to Gravity & Ozone features and to even Split Tunneling, PureVPN has got it all. The 1.5 points I deducted here are because of the dicey performance experienced at times from a high number of these features. Speed 2.5: PureVPN still has a long way to go if it wants to match the fastest VPNs in the industry. Currently, its speeds are not where they can offer an incredible experience to the user on all fronts. Their speeds on dedicated streaming servers, like those reserved by the service for Netflix US unblocking, is optimized however, and they are the best speeds I could get out from the service. The rest of 2000+ strong server network, does need to really up its game. PureVPN’s affordable pricing is its biggest plus while its negligible attitude towards improving its sore points like its questionable logging policy is its biggest negative. I recommend you to go for this VPN only for entertainment and general browsing related activties. PureVPN is the Best VPN for activities like Torrenting and Netflix Unblocking, as you cannot find a VPN that is so cheap and offers a reasonable enough performance on these fronts. But despite all of these positives, there are a lot of negatives hampering this service. Bypassing geo-restrictions in China is out of question and its marketing policies are a bit overboard as well. Speeds are erratic, not too bad, but erratic enough to make users think twice and for recommendations to dry up substantially. My recommendations to this VPN is that it needs to focus massively on correcting its wrongs which doesn’t seem like a big task. If PureVPN does commit itself to correct its wrongs then it will become as preferable as it primes itself to be. 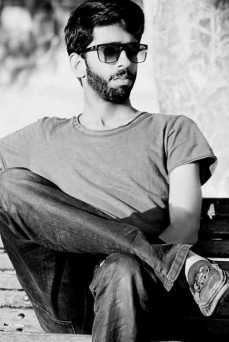 Don’t expect too much from the service or you’ll be left ruing your choice. This provider has a knack of overpromising and under-serving, so keep your expectations low and only concentrate on getting it for streaming needs and some added privacy. If you don’t agree with any of the points presented in the review or if you’ve had a different experience with the provider, I would love to hear you out. Do present your side of the story in the comments thread below so that we can engage in a meaningful conversation here! Great to see you commenting here and interacting with us. And about your bad experience with PureVPN, can you please specify as to what kind of issues were you exactly facing with the service, so that we can also look into them and update our review accordingly? I previously registered with Vypr vpn but i had major problems with it due to its lack of apps and because it didnt unblock quite a lot of sites. I went for Pure despite reading lots of controverial reviews and comments from users and it has turned out fine. the speeds are still not up to my expectations certainly but it sure does unblock. we will come to PureVPN, but first let know which websites were you specifically looking to unblock with VyprVPN as it usually unblocks most geo-restricted sites. If you can share details, we can also check them and update this in our review? Now for PureVPN, yes, it does have a lot of controversy surrounding it, and there is some truth in it, but mostly, its blown out of context. Glad that it has met your expectations. setting up any VPN on a router is a great option if you are using a VPN enabled connection on multiple devices. Live chat has definitely improved but its still not up to our mark and expectations. PureVPN does have its downs and we have recommended the service to improve on them so that users like you can benefit out of it. Great to see you interacting with us on this review. Yes, we know that the default protocol is not OpenVPN and we’ve covered it in the review as well. PureVPN should correct it as soon as possible. As far as streaming is concerned, PureVPN is one of the best VPNs in this regard and we are glad that our review facilitated you in subscribing to this service and getting this benefit out of it. i have been a regular of pure having bought the one year plan twice and the service has improved a lot in the past year. although i really miss the ios app which pure is not offering currently. I had to sideload it on my iphone but after that, tthere were no major problems. Great to see you commenting here and interacting with us on this review. and about your personal experience, the service has really improved in the last year unbdoubtedly. We did contact PureVPN’s team to take an update on the iOS app and we can tell you that its management told us that the previous app had some flaws which needed to be corrected and the new one is in its final stages and will be launched very soon. The service is good till now and it has worked well for my streaming needs. Speeds do go down every once in a while which is a real pain and a not so good experience, the windows client also has some glitches which need to be dealt away with it like taking a long time to connect to some servers. But in this price, pure is a good enough choice. Your personal experience of the service will undoubtedly help a lot of other users in making the final decision about subscribing to this service. And yes you are right about the fluctuating speeds on some servers as we know this from our own experience reviewing the service. Great to see you commenting on our post here. Now coming to your concerns, Yes, we have also allayed it in the review above that PureVPN’s Refund policy is not entirely transparent. If you exceed a certain number of GBs (Bandwidth consumed), the refund becomes invalid. This is not mentioned clearly anywhere on the provider’s website currently, but we know about it, because it was there some while ago and was removed just recently. We recommend to not just you, but all of our users, that they need to read our reviews carefully in order to find out more on the service they are trying to opt for. We conduct in-depth reviews for the sole purpose of facilitating users like you towards buying the Best VPN according to their own needs. We shed light on every single factor so that users dont have to do the research on their own. Read our reviews, they are called “Reviews” for some reason! Coming to Netflix unblocking, it would be great if you tried to unblock Netflix through their Chrome extension rather than any of their clients, because it only works reliably through it, nothing else! To begin with, we extend our sincerest apologies for the inconvenience you have faced. However, your problem had been adequately resolved by our customer support team. Customer satisfaction is PureVPN’s topmost priority, that’s why we took complete responsibility of your unsatisfactory experience with our product and refunded all of your money in good faith regardless of the fact that you paid for the subscription via a non-refundable method. All of the above-mentioned details had already been communicated to you earlier. Feel free to reach us via live chat or email us at enquiry@purevpn.com if you may have any more queries or concerns. 3- I can not use any feature BUT DEDICATED IP!!! ( no STREAM,no INTERNET FREEDOM , no …no…). 5- A stubborn UPDATE WARNING (even after it is applied) would not want to go away!! We hope that you are doing well. It is to inform you that your subscription can not be refunded since you have paid via non refundable payment method/processor. You can view the details regarding the refundable and non refundable payment processor in the following link. Hey Charlie, great to see your comment on our thread! We see that you’ve had multiple problems with PureVPN relating to things like instability, server errors, bad streaming support etc and we truly acknowledge that these would have caused great inconvenience to you definitely. But having said that, we clearly mentioned in our review above that they do have a strict refund policy which implies that they are quite stringent when it comes to the terms and conditions which govern refunds. The email which you quoted here does mention that you paid through a non-refundable payment method and it’s a common practice in the industry that there are certain methods, which if you pay through, you will not get a refund. And this is the very reason that we cannot emphasize enough on the importance of reading our reviews thoroughly. We put an incredible amount of work to review a service in order to save users from the same inconveniences that you had with the refund. As far as the problems are concerned, we believe that the VPN client that you downloaded wasn’t functioning properly, because these issues don’t stem from actual VPN performance issues but rather from VPN client issues. Can we know which client you were using and its version? To begin with, we extend our sincerest apologies for the inconvenience you have faced. However, your query had been adequately resolved by our customer support team 4 months ago. Our representative reached out to you with a list of specific servers that work in Iran uninterruptedly, and we did not receive a response from you after early October. Also, our refund policy is crystal clear. Only a handful of payment methods don’t qualify for a refund and you willingly chose to pay for the subscription via a non-refundable payment method.